Beads: Pink jade, white agate and Botswana agate semi-precious gemstones. Length Tail to Beak Approx: 13.5 cm / 5.3 inches. 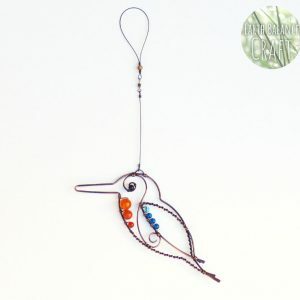 A copper wire hanging decoration outlining the beautiful rounded contours of the British kingfisher bird. 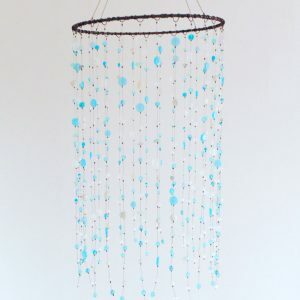 With a minimal wire-work design, this little birdie can be hung as wall art or as a window decoration. With a swivel barrel at the top that allows the robin to rotate 360 degrees freely with movement, as if in flight. This is part of a collection which celebrates the beauty of British birds.